The secret cyphers and ritual books of the Eastern Star as well as of other fraternal societies inevitably make their way to the shelves of antiquarian book dealers. Efforts to get families to return documents and regalia when a member dies are more often than not end in frustration. 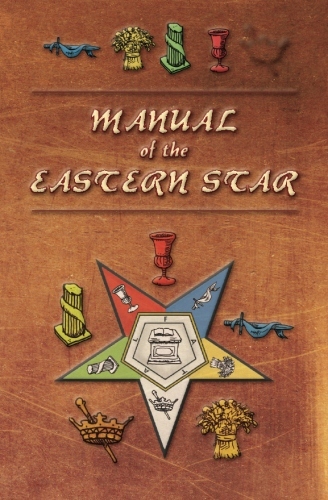 So we do have, as in the case of this Eastern Star volume, an insight into what happens in Star temples. It is a good starting place for the curious. While the majority of its members in the United States and some other countries belong to bodies that give allegiance to the General Grand Chapter in Washington and have a uniformity in ritual, this manual illustrates that there are independent grand chapters with their own authority over ceremonies. Some examples include New York and New Jersey, Scotland, and the chapters affiliated with Prince Hall, Hiram, St John’s and other Masonic grand lodges not part of the dominant grand lodge system. An illustration is that Prince Hall chapters are an instance of retaining degrees no longer worked by General Grand Chapter.